This is our own recipe based loosely on the DYC vinegar recipe with some extra (not so) secret ingredients. In a heavy bottomed saucepan or frypan, cook the onion in the oil until translucent. Add all other ingredients and simmer, covered for about 30 minutes. Pour the mixture into a food processor and blend until smooth. 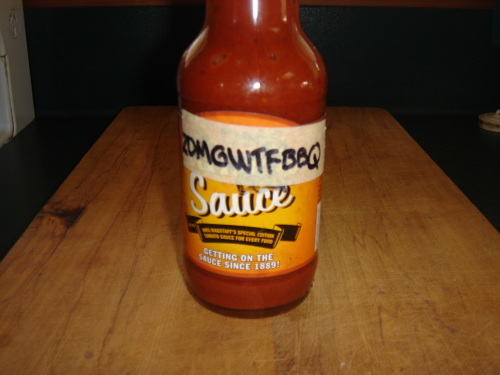 Put into a sauce bottle and store in the fridge.